According to a recent Ipsos survey, 70% of Americans say they’re somewhat or very concerned about how much sugar they eat. Yet limiting sugar can be challenging. For one, the stuff is everywhere in the food supply. In fact, nearly two-thirds of all packaged food contains some form of added sugar. More, we seem hardwired to crave sweet. But “challenging” doesn’t mean “impossible.” There’s no shortage of tips and tricks for cutting back or quitting the sugar habit – including the use of non-synthetic zero-calorie sweeteners. While products such as NutraSweet (aspartame), Splenda (sucralose), and Ace K have their drawbacks, alternatives such as stevia, monk fruit, and erythritol may have a place at the table. Stevia comes from the leaves of the Stevia rebaudiana plant, native to Paraguay and Brazil. A species of stevia called candyleaf can be found in New Mexico, Arizona and Texas. Moises Santiago Bertoni, an Italian botanist, is often credited with the discovery of stevia in the late 1800s, even though the native Guarani people had used it for centuries. Known as kaa-he (or sweet herb) by the native population, the leaves of the plant had many uses. In traditional medicine in these regions, stevia served as a treatment for burns, colic, stomach problems and sometimes as a contraceptive. The leaves were also chewed on their own as a sweet treat. You can learn more about the fascinating history of this plant here. Stevia is roughly 200 times sweeter than sugar, so a little goes a long way. Where research suggests that artificial sweeteners may not be so helpful when it comes to issues such as obesity and diabetes, studies such as this one from the Journal of Medicinal Food suggest that stevia may help in the treatment of metabolic conditions. 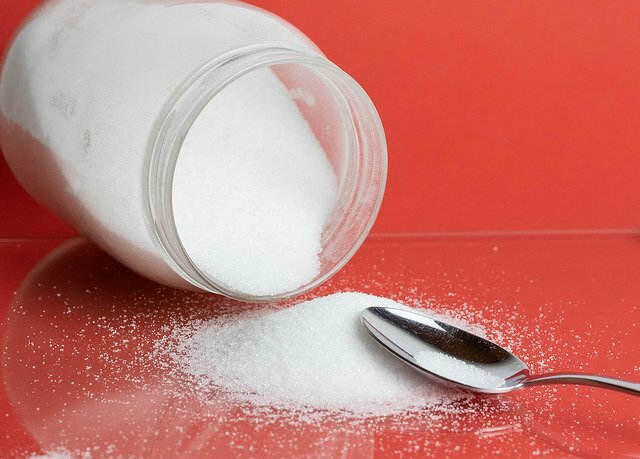 Other research suggests that people who eat food prepared with stevia feel a similar level of satiety as they do with food prepared with sugar. They don’t eat more to compensate for the lack of calories. Stevia comes in its leafy natural state, a liquid form (that some people say has a licorice aftertaste), and a powdered form. The latter is often contains additives, however, to allow for a 1:1 ratio for baking. But pure powdered stevia is available, too. Dr. Axe offers some helpful guidance for sourcing and using stevia. Monk fruit, also known as a Buddha fruit (Siratia grosvenorii) and lo han guo in its native southern China, has been used in Traditional Chinese Medicine for hundreds of years as a cold remedy and digestive aid. Today in the West, it’s also being used to sweeten foods and beverages. The sweetener is made by removing the seeds and skin, crushing the fruit, and collecting its juice. The sweetness comes courtesy of natural chemical compounds called mogrosides, and in terms of intensity, it’s about 150 to 200 times sweeter than sugar. Due to its stability at high temperatures, monk fruit can be used in baked goods, but it can affect the texture and taste of some foods. Monk fruit may have benefits beyond adding calorie-free sweetness. There’s some evidence, for instance, that it may have anti-inflammatory properties. Other research suggests it may have anti-cancer properties, as well. Erythritol is a sugar alcohol that occurs naturally in plants. Commercially, it’s produced by fermenting glucose from corn or wheat starch. It’s not nearly so sweet as stevia or monk fruit, though. It’s about 60 to 80% as sweet as table sugar. Like xylitol – another sugar alcohol – erythritol may help prevent tooth decay. In fact, it may be even a little better than xylitol. For instance, one double-blind, randomized study found that children who ate erythritol-sweetened candies had less decay than those who ate candies sweetened with xylitol or sorbitol. More, any decay that did develop took longer to form. On the downside, erythritol doesn’t hold up to baking nearly as well as xylitol, which is equivalent to sugar in sweetness and thus can be used the same way as sugar in recipes. Do you use any of these sugar alternatives on a regular basis? Have a favorite? Let us know in the comments!